Holmes and Watson tackle a Shakespearian murder mystery. This was the first of a series of Holmes pastiches by Barry Day published as mass market originals by Oberon Books. London 1889 and a matter of grave national importance. American impresario, Florenz Adler, has rebuilt Shakespeare's Globe playhouse. Then grand opening is to take place in the presence of Her Majesty Queen Victoria. Amidst the excitement, the actors receive sinister warnings in the form of cryptic quotations from Shakespeare's plays and a drawing of a rose. A hoax? A literary joke? 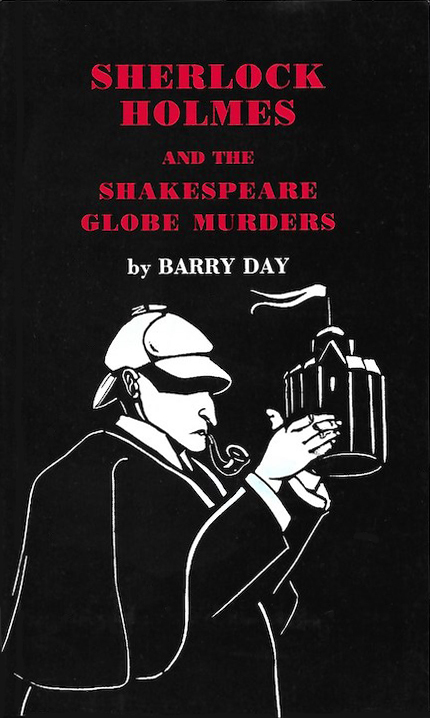 But not for long – the joke turns sour as the murders begin, each an exact copy of a death in a Shakespeare play. Even the Queen receives a warning, and so Sherlock Holmes is called in to fathom out the plot – assisted, of course, by Dr. Watson.